Vocal nodules develop as the result of trauma to the vocal folds. When the vocal folds collide violently swelling can develop around the site of the collision. A single episode of trauma usually recovers over several days of voice rest, but unfortunately, these episodes are often repeated so the swelling becomes more persistent and requires treatment. These swellings are often described as "soft nodules". If soft nodules are ignored and allowed to progress, the persistent damage may begin to produce fibrous scar tissue. This makes the affected area stiffer and therefore less able to vibrate effectively. These are often referred to as "hard nodules" and they are more difficult to treat as they do not resolve with voice therapy and require surgery to restore the voice. Vocal nodules are often also called "Singer's nodes" or "Singer's nodules". Laryngologists may use other terms synonymously as well so it is important to ask whether the diagnosis is one of vocal nodules or a different condition and to clarify the difference between the two. It is also important to ask your Laryngologist whether the nodules are soft or hard. Vocal folds with nodules – it is easy to see how the vocal nodules prevent the vocal folds from closing fully and how they could interfere with vocal fold vibration. Initially after the trauma the voice may become "cloudy" (minimally husky) and less responsive over a certain pitch range, losing clarity and brightness. 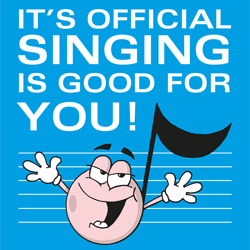 The voice is usually slow to warm up and may sound deeper, breathy and weak, particularly over the upper pitch range. Over time the speaking voice may become noticeably hoarse and breathy. It may also start to "cut out", around certain notes, giving characteristic "voice breaks". These are most obvious when the voice is used quietly. The key to the story of vocal nodules lies in our understanding of the layered structure of the vocal folds. A flexible mucus membrane forms the outer covering of the vocal fold (the epithelium). Beneath are several layers of connective tissue (the Lamina Propria). The outer (superficial) layer is gelatinous in nature and separates the outer (epithelial) cover from the stiffer underlying vocal ligament. Beneath the ligament lies the vocalis muscle. Just to confuse things, the literature often refers to the vocal fold "cover" and "body", where the cover is considered to include the epithelium and the superficial (gelatinous) layer of the lamina propria, while the body includes the ligament and underlying muscle. In this text I refer to the epithelium as the "outer covering" of the vocal fold and it is not to be confused with the idea of "cover" described above). The epithelium is exposed to a considerable upwards force as the air rushes between the vocal folds during voicing. The gelatinous layer of the Lamina Propria cushions the epithelium by allowing it to slide upwards and outwards in response to the air pressure. This upward and outward movement of the epithelium is visible when the vocal folds are examined under stroboscopic light like waves breaking over the upper surface of the vocal fold. The movement is known as the "Mucosal Wave". A clear voice quality depends on whether or not the vocal folds can generate normal mucosal waves. Any condition that "tethers" the epithelial cover to the underlying ligament will disrupt or reduce the mucosal wave. The vocal folds will no longer vibrate efficiently over the affected area and the voice quality may be altered. Fortunately, soft nodules only affect the superficial (outer) layer of the vocal fold and even hard nodules are only very rarely associated with this type of tethering. In the past surgery was usually the treatment of choice. Voice therapy was often either unsuccessful (because the nodules had become fibrous scars), given post operatively or not given at all. Surgery to remove vocal nodules often had a bad outcome, giving vocal nodules their reputation of being a "career killer". Until recently the importance of maintaining the integrity of the gelatinous layer of the Lamina Propria was not fully understood. Surgeons believed removing the swelling and maintaining a straight vocal edge was all that was necessary to restore a clear vocal quality. If the swelling was extensive, the epithelial covering could be "stripped" off the fold. This procedure damaged or destroyed the gelatinous layer so that the epithelial cover became stuck down or "tethered" to the underlying ligament. The mucosal wave could no longer be generated leaving the voice permanently hoarse. Frequently the voice was worse than it had been pre-operatively. If the patient was a singer or professional voice user their career was over. In most cases vocal nodules are treated successfully. Vocal nodules may resolve with rest alone in their acute stage, but if the trauma occurs repeatedly, then treatment will be required. Voice therapy is usually the treatment of first choice. Voice therapy involves vocal exercises that are designed to restore efficient vocal function so that the nodules resolve. These exercises are specifically targeted to deal with the problems identified for each individual during their assessment. If the nodules have become hard however, or if there are time constraints such as specific engagements or training, surgery may be the quickest and most effective solution. Voice therapy is required post operatively to rebalance the voice production and prevent recurrence. When is a Nodule not a Nodule? Occasionally the vocal folds develop "nodular" swelling as a result of other conditions, such as vocal fold cysts or scars. These conditions do involve tethering of the epithelial vocal fold cover and do not resolve completely with conservative treatment such as rest and voice therapy. They will require more complex surgery to resolve them. They need careful assessment in a voice clinic to differentiate them from simple vocal nodules. Don't beat yourself up about it! Vocal nodules are not a crime or even necessarily the result of "bad technique". They are an injury, much as a marathon runner might sustain during training or a race. 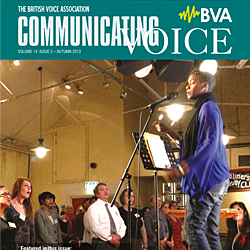 Although vocal nodules remain a problem for professional voice users and may cause some cancelled shows, delays in training, a lot of hard work and inevitably some anxiety, they are very unlikely to herald the end of a career. This information is designed for adults with vocal nodules and in particular, for performers. For information about children with vocal nodules please see 'Children get Vocal Nodules too'.